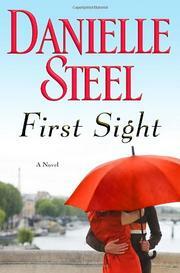 The latest from best-selling author Steel. Timmie O’Neill is a youthful 48-year-old woman who rose from humble beginnings to create and run a successful fashion company for the past 23 years. Her life is all work, almost no play and, since the death of her only child and subsequent divorce 11 years earlier, no real love. Since she travels so often to Paris for the prêt-à-porter shows, a friend gives her the name and number of a physician there just in case she needs one. Her appendix bursts, requiring surgery at the American hospital in Paris, where the good doctor meets her. The ambulance triggers memories of the childhood tragedy that left her an orphan at 5, requiring a hand to hold and a sympathetic ear, which the doctor offers. She tells him the story of the car accident that killed her parents, the years in the orphanage as one prospective family after another returned her until she walked out on her own at 16, started work as a waitress and began making clothing on the side. Decades later, when her fashion company brings in a fortune, she donates $1 million to nuns who open an orphanage that she not only supports financially, but in other ways, visiting the children and often joining them for the holidays that she would otherwise spend alone. The doctor, who is going through his own heartaches trapped in a loveless marriage, is drawn to her. The path to her destiny is filled with convoluted peregrinations, but Timmie keeps on and ultimately achieves what she wants and deserves. A novel about love, in all its heartbreaking and splendid forms.